The Reverend Hubert Alfred Allenby of Falmouth died from complications related to pneumonia on November 11 in Falmouth Hospital at the age of 92. Carole Grace (Graber) Snyder of Sandwich died November 6. She was 84. Ronald J. MacDougall, 88, of East Falmouth died November 18. Published in the November 21, 2018 edition. SAUGUS — Daniel J. Carroll, 40, of Saugus, formerly of Wakefield, passed away unexpectedly at home on Friday, November 16. Born in Boston on December 16, 1977, he was the son of John H.
William Lewis Alden died peacefully at home on Nov. 16 surrounded by his family in Falmouth. William J. 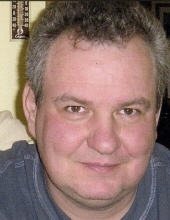 (Bill) Stafursky, 70, died at home on Nov. 1. Jacqueline “Jackie” (Mathieu) Moriarty, 90, passed away Nov. 15, 2018, following an illness. She was predeceased by her husband Walter Moriarty. She is survived by her sons Michael Moriarty and his wife Barbara and Jeffrey Moriarty and his wife Jeanne. Martha F. Kudravetz died on Nov. 15 in Oak Bluffs. Esther Andrada Chandler died in her home in Randolph on Saturday, Nov. 17 surrounded by the love of her family. Elizabeth (Betty) Mary Gardner died at Windemere on Nov. 18, where she had resided for several years. 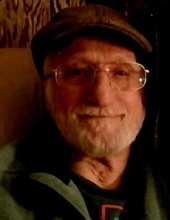 Brookfield, NH – Robert D. King passed away at home surrounded by his loving family after a courageous battle with extended illness. Robert was a totally disabled Vietnam Veteran, a member of the VFW and DAV. Born in Lynn, Mass. MONIZ: of Fairhaven, Saturday, Nov. 17, 2018, Bernice C. (Adams), 90. Wife of the late Joseph Moniz. 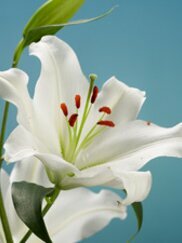 Private arrangements are by the Fairhaven Funeral Home, 117 Main St., Fairhaven, www.hathawayfunerals.com.